Landmark buildings in Macau include the Casino Lisboa, Friendship Bridge, Grand Lisboa Hotel, MGM Grand and the Macau Cathedral. Popular Macau attractions are Fisherman's Wharf, the Ruins of St. Paul, the Macau Science Centre and St. Dominic's Church. 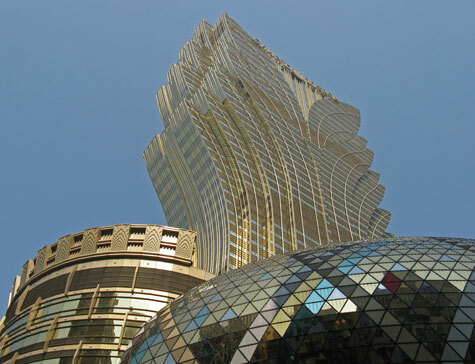 Popular hotels in the Macau Special Administrative Region (SAR) include the Sands Hotel, Wynn Hotel and others in the Macau city centre. In addition to having its own international airport, ferry service operates to the Maritime Terminal from Hong Kong and Hong Kong Airport.